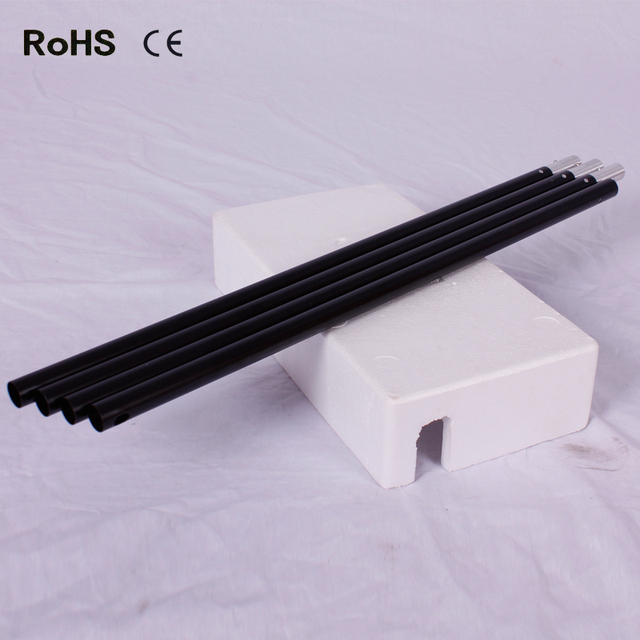 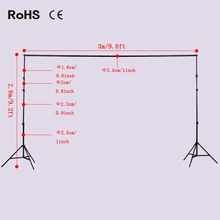 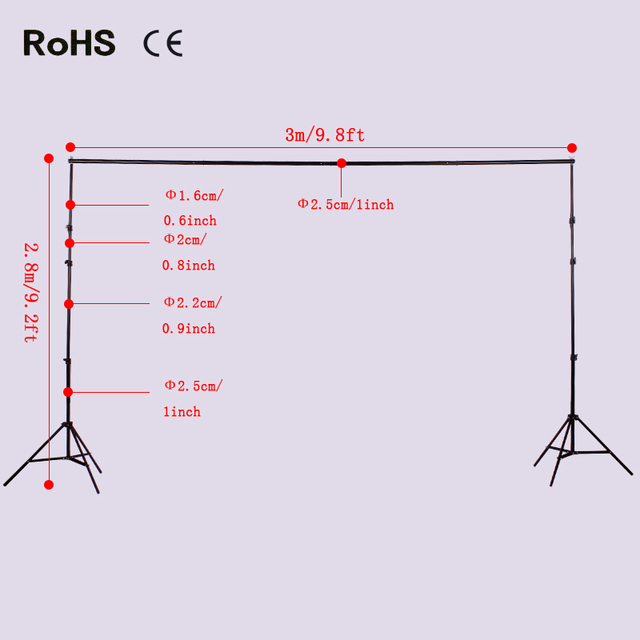 Crossbar consists of 3 aluminum sections (25mm diameter), length up to approx. 300cm maximum. 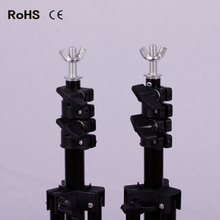 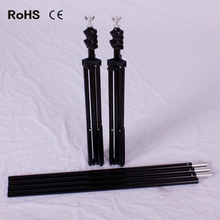 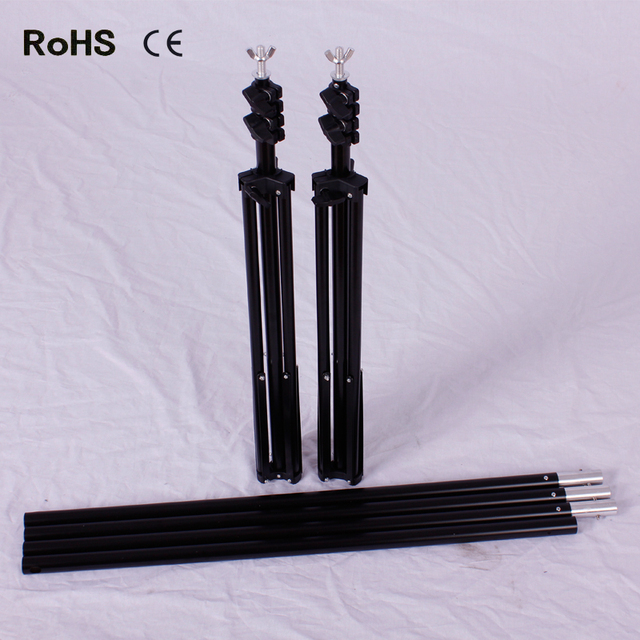 Tripod consists of 3 adjustable sections (25mm-22mm-20mm-16mm diameter), height up to approx. 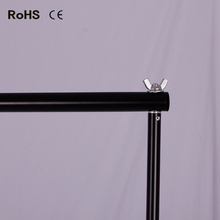 260cm maximum. 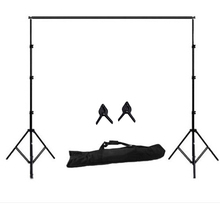 The backdrop crossbar kit can be folded to 90cm, easily to put into a portable carrying bag.